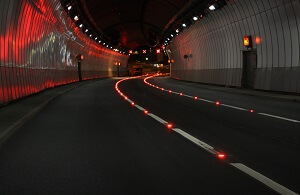 Ground markings of covered roadway shoulders with wired LED studs. 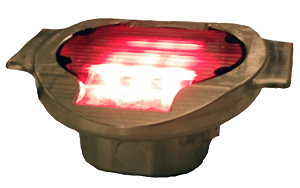 Objective : eliminate traditional, energy-consuming lights. 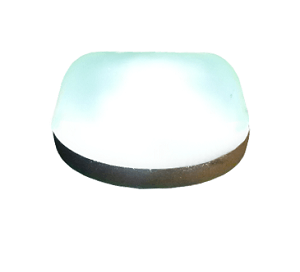 Some 160 white SIGNALIGHT studs installed. 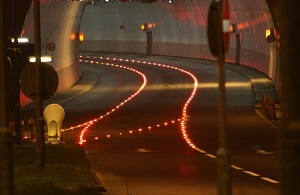 Covered roadways and tunnels require special edge markings. 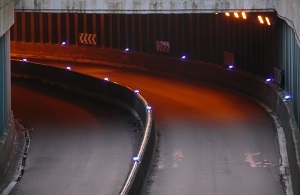 For short distance sections, where lighting systems are to be replaced, lighting from LED studs is an effective solution. 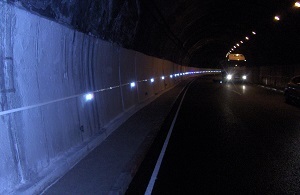 For longer tunnels, it is a legal requirement to install LED studs along the walls (height, spacing and colour regulations). 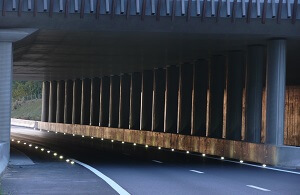 Installing studs along the sides of barriers at predetermined intervals is a condition set by interministerial circulars. 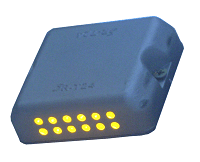 These require that bi-directional products in white or amber be spaced alternately with blue studs so drivers can gauge the correct following distance between vehicles.